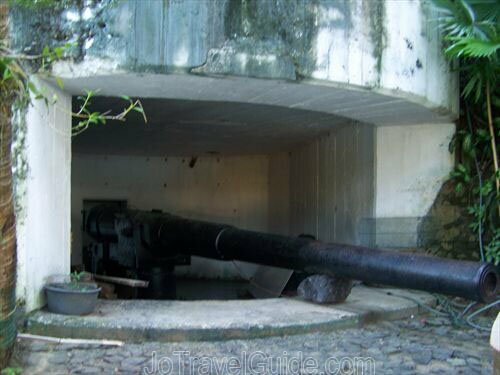 On the foot of Padang Hill (or also locally known as Mount Padang), there is an old Japanese canon that was once used during the World War II. The location is now used by the locals as storage of some of their belongings. Visitors can still see the canon, eventhough it lies in someone’s terrace. Local residents will show you the way to the canons. Click the picture above for more and bigger photos of around Padang Hill. Not far from that WW II canon, there is a small sidewalk along the beach to go up to the mountain (or hill). 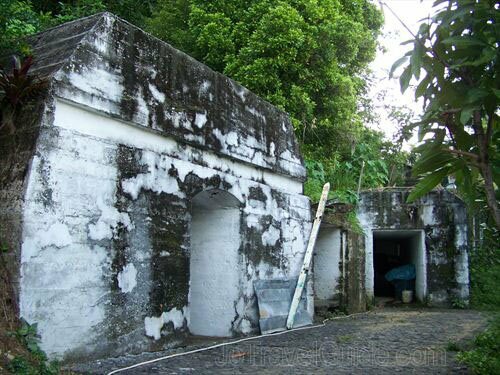 On top of this mountain, there is another interesting site to see, the tomb of Siti Nurbaya (one of the Padang legends). To reach the tomb, visitors need to climb on poorly maintained steps, which will take about 40 minutes to reach the top. 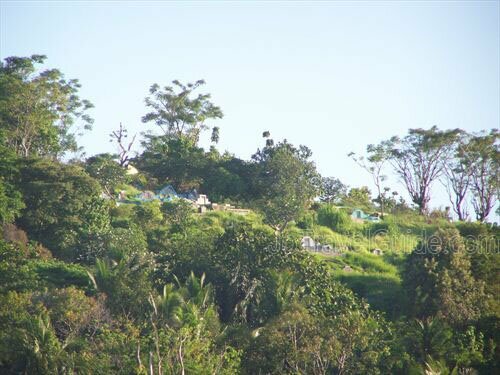 However, people will have a stunning view of Padang from the top of this mountain. There are also steps seen on the right side that will bring visitors up to a Chinese Cemetery. Unfortunately the cemetery is poorly maintained and some of the tombs are even hidden under growing grass. However, this cementery is still visited by the families and will be crowded by during any Chinese celebration. Remarks : generally at the moment tourist attractions around Padang Hill are not really well maintained. Jembatan Siti Nurbaya is a connecting bridge between Padang and Padang Hill (or locally known as “Gunung Padang”). The bridge is about 60 meters long and fully finished built in 2005. 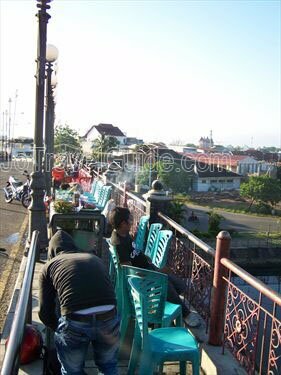 Some local residents in Padang can be seen spending their late afternoon or night time along the bridge, especially on Saturday nights. 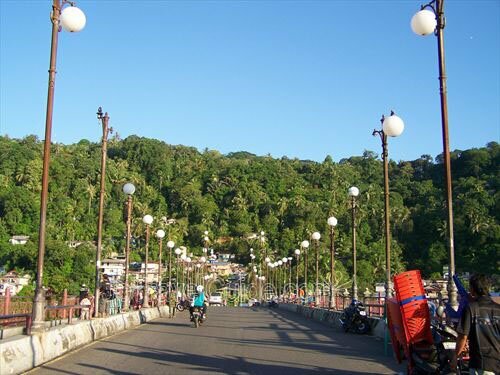 The bridge is one of the most favorite places to hangout at night, under the horn-shaped street lamps, which is adapted from the typical roof of Minangkabau traditional houses (called “Rumah Gadang”). 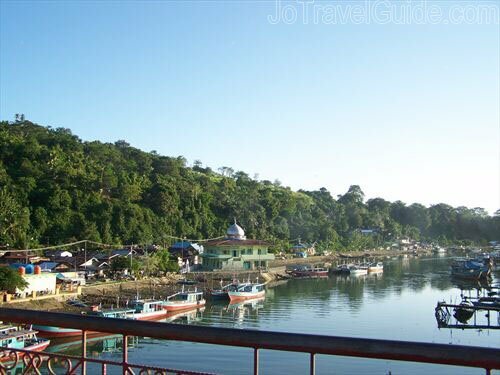 Click the picture on the right for more and bigger photos of Siti Nurbaya Bridge. Street hawkers are usually “visible” along the street near the bridge. They sell various snacks, such as grilled corns, soft drinks or fruit juices. 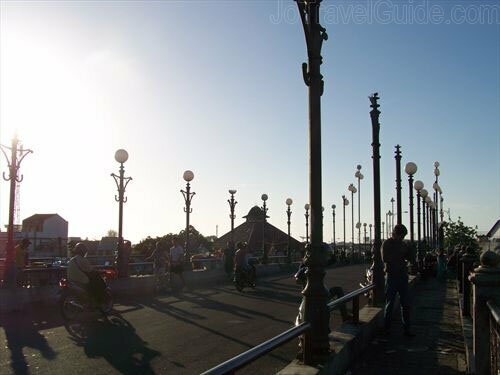 From Siti Nurbaya Bridge, while enjoying the grilled corn under the bridge’s lights, one can observe ships activities in the Muara Harbor or look at the historical buildings around the harbor, as well as the view of Padang Hill.